When God made Man he not only formed his body out of matter, He breathed ‘spirit’ into him and he became a living soul… a freewill moral agent capable of making real choices… not a robot slave of Materialistic determinism. Atheist delusions leave mankind not only without any Objective morality, but also renders him incapable of making moral choices… whether Evil, or Heroic. Atheism has no explanation for consciousness. Heroic deeds like that of John Shear only deserve praise because they stem from the heart… ie He chose to endanger himself for the sake of someone else *when he could have just stood by* in safety and watch the Horse do it’s worst. What is truly shocking is that there are many so-called ‘Educated’ Modern Christians who are embracing this anti-free will Atheist Materialism! They must have rocks in their heads not to appreciate the fact that Monist Materialist Determinism is absolutely incompatible with Biblical/ Christian morality! God cant judge sinners who had no choice but to sin. William Lane Craig makes this point clear. The Bible is Dualistic…. it is emphatic about the greater Non-material Spiritual Reality. The Morality Of God and Bible is built upon these Truths. 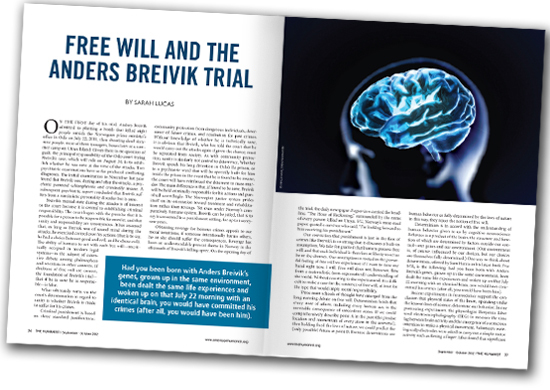 Free will is a testament to our inner Spiritual Being…. and proof of God almighty! This is because Freewill is inexplicable in materialistic terms and conditions. And Libertarianism is utterly dependent upon free will… voluntary acceptance of the Justice of the philosophy of equal God-given inalienable Rights and liberties. Atheism is fundamentally corrosive to the Philosophy of Liberty. It is deterministic and Nihilistic… whereas Libertarianism is not Lawlessness, but depends upon Objective moral absolutes. If conscious will is a fundamental aspect of existence (like time, space and energy) then monism does not preclude conscious will. ‘Time’ space and energy are not fundamental Reed… They are contingent. Yet let me say that when we speak of ‘time’ we tend to use the Materialist definition which is false because there was an eternity *before* Time…. as the materialists define it…. and there will be an eternity after it. And you are right that Materialism cant negate consciousness/ freewill…. as long as these things are part of the greater being/ reality. Yet Materialism denies this greater spiritual/ conscious reality. It says our consciousness/ life is merely an attunement of atoms… and this negates freewill. Theism has no explanation of consciousness either. Freewill is inexplicable in materialistic terms and conditions. 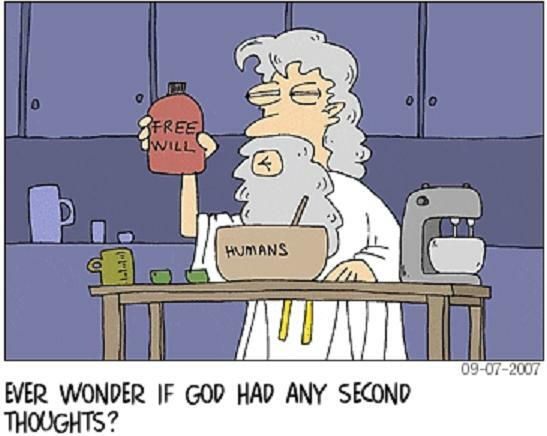 Free will is inexplicable in any terms. 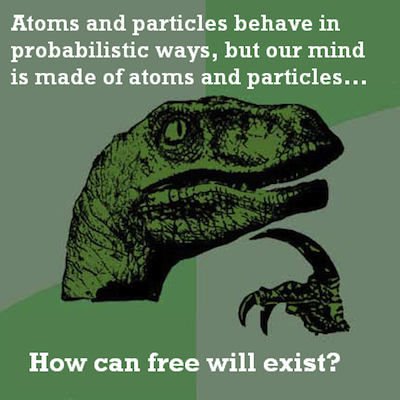 The concept of free will makes no sense. Theism has the perfect explanations for these things…. though you may not find them satisfactory. Firstly our consciousness is in principle explicable because of God’s consciousness…. ie We are not machines…. atoms which have become ‘self aware’…. any more than God himself is a machine. Secondly Theistic dualism supplies the plausible basis for free will because it imparts us with a portion of our being which is not enslaved to the Laws of physics/Nature. 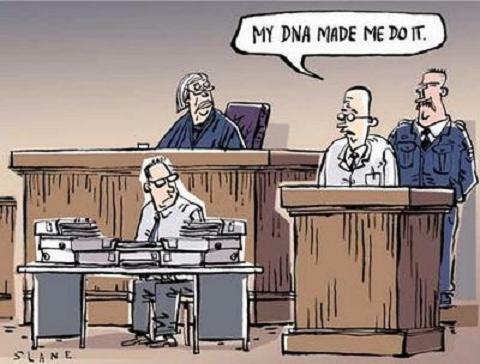 Now You must ask yourself what sort ‘better’ explanation than this is even possible…. because we are talking about Non-materialistic states and beings…. so the notion that Theism should provide you with a *scientific* explanation is absurd…. whereas these spiritual concepts are thoroughly *Rational*…. though not provable in any other way than the self evidence that We are conscious…. and have freewill…. we are not Robots. That we end up in this place…. where Materialists can say ‘Oh that’s just an illusion’…. is because of their *Materialism*….. ie they know that if they admit to Free will then their Materialism is proven wrong. And if their materialism is proven wrong… then they must deal with the Possibility/ probability of there being a God, and if we have free will then we are morally culpable…. before God…. and that is the Chief Truth that God-hating sinners seek to avoid… and so they must deceive themselves that there is no God, and that we are not moral agents…. and that we got here by freak chance. The facts best fit the Biblical Dualistic cosmology rather than the Bumbling Materialistic view…. by a country mile. Moral responsibility is compatible with a deterministic view of the world. For example, imagine William is speeding along a rural road in winter. He spots some small children ahead playing on the road. Unbeknownst to him, the road is covered with black ice; whether he applies the brakes or not, he will hit the children. His decision to hit the brakes (or not) give him morally responsiblity, even though the outcome is forgone. If he hits the brakes, he is morally good – he tried to stop. If he does not hit the brakes, he is morally blameworthy for the accident. The existence of God is problematic for free will. God is supposedly an omnipotent entity who created and continues to control everything in the universe – our DNA/genes, our formative experiences, the poverty or otherwise of our parents, etc – and he knows exactly what we will do in any given situation. God knows whether or not William will hit the brakes, God knows why William will make his choice (perhaps William has been mercilessly teased by children), and God has had the power to control William’s past experiences, influencing him to make the right decision. Where, then, is William’s free will? If God exists, William is a mere pawn. We do live in a deterministic world Luke, and that is a necessity for morality in that It means we ‘Free-willed moral agents understand Cause and effect…. that Actions and inactions have predictable results. If this was not so Morality could not exist. Our Actions which stem from our will can have Effects on others…. and that is what makes many of the choices we make of moral weight… for better, or worse. Foreknowledge of the effects our actions/ inaction will have before we do them is what makes us culpable for Evil…. praise worthy for good. Yet as with your story about the Driver on the black ice… the issue of morality still requires a freewill agency to choose to apply the brakes… swerve off the road… etc… for that senario to be said to have Moral weight. If we were to substitute a Human driver with a robot driver instead which was programmed to break automatically when something was on the road, then that situation of trying to avoid the children would not constitute a moral event…. except for the fact that …. one step back…. before the event…. the morality of the programmer may be said to have been in action…. in that case the moral actor was the programmer whose forethought exercised his free will to write in a Safety program…. not the robot who blindly and slavishly obeyed his commands… without any choice or contemplation of choice…. he had none. The Robot is not…. never can be a Moral agent. God’s will may not be done. In your example would William be responsible if he were a passenger or is he only responsible if he is the driver?